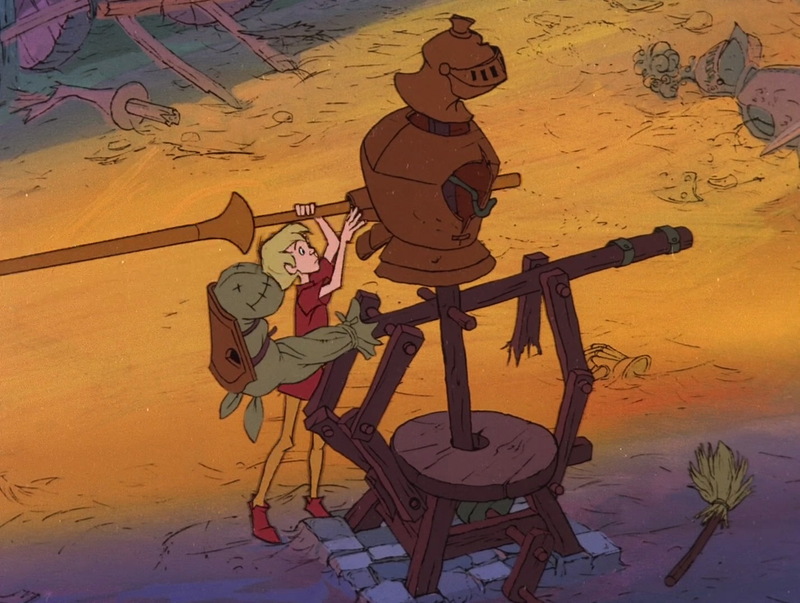 Cliff Nordberg animated this scene from The Sword in the Stone, in which Wart is adjusting a "Jousting Machine". Sir Kay is not very successful in practicing jousting on this contraption. Jousting machine - Wart enters scene, runs up ladder, re-adjusts lance and helmet, again throwing himself heart and soul into his job. The footage is based on live action, which was performed by one of director Woolie Reitheman's sons. 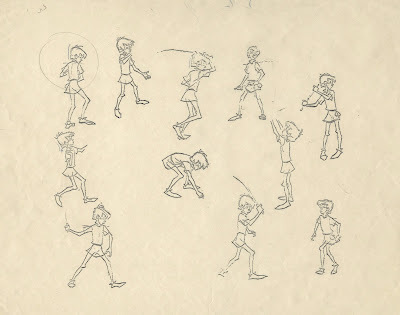 Since Wart is the lead character, character designer and directing animator Milt Kahl kept a close eye on how other animators drew him. 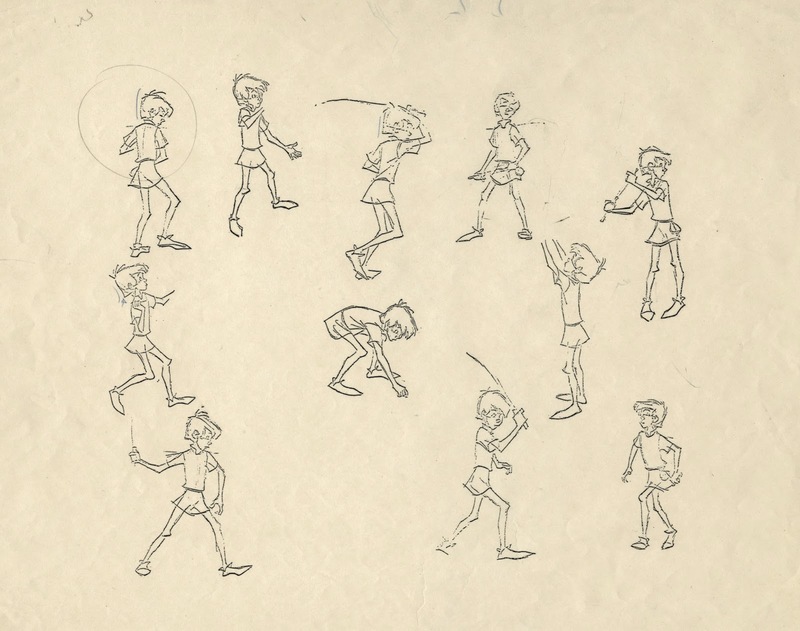 Here are numerous poses drawn by Milt over Nordberg's animation roughs. There are drawings from another Nordberg scene included on this sheet.